The current season of the hit singing talent show The Voice will be going to a whole new level this go round. This will mark the shows tenth season as they continue to discover rawly talents acts to see who has exactly what it takes to be a superstar. After a one season hiatus, Christina Aguilera will be returning to the judges panel along with Pharrell Williams, Adam Levin, Blake Shelton & the shows host Carson Daly. It has been rumored that for the upcoming season finale Xtina will be performing alongside the greatest voice of them all, Whitney Houston. The singer who passed away four years ago will appear in the form of a hologram, so far no official word has been released due to the fact that NBC is keeping the finale details very secretive. 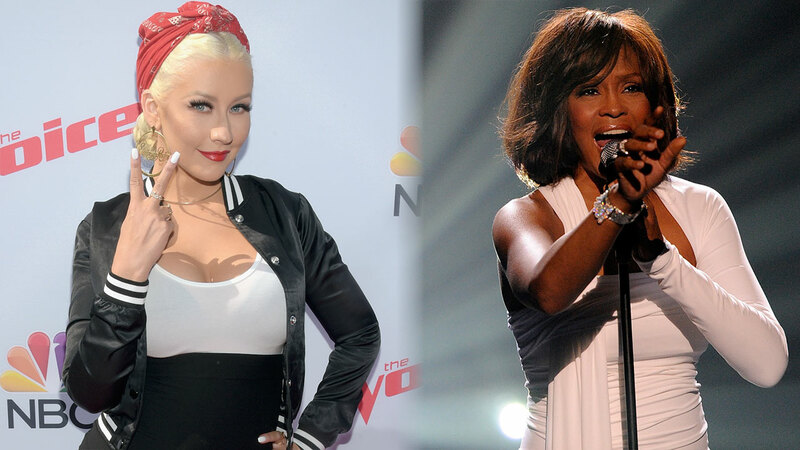 Christina isn't the only one that allegedly has plans to perform with the hologram of Houston. Back in 2015 reports surfaced online that the hologram would be coming to life & a world tour would be happening where Houston would be seen performing some of the greatest hits of her career. This new came directly from her estate that quickly turned controversial.